Lil Xan knows people won't like his new tattoo. 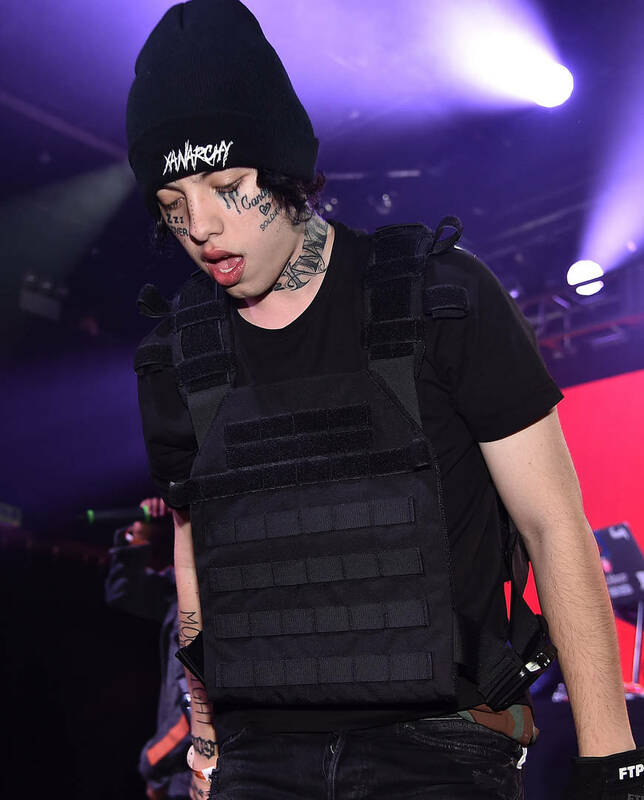 Despite having tons of tattoo real estate elsewhere on his body, Lil Xan continues to fill up his face in what appears to be a "tat-off" with Post Malone. Who will end their career with more ink on their face? We'll find out in a few years but for now, the leader of Xanarchy has just caught up to Posty by adding another design on his visage. Diego is proving to be pretty self-aware. He knows that he has a lot of haters but he's also fully conscious of the fact that he has millions of fans lining up to witness him perform shows on a regular basis. While his music may not appeal to everybody, there is a select niche market that absolutely digs Diego's vibe, looking out for new music all the time. As one of the most tatted young rappers, it can't come as much of a surprise to anybody that Xan somehow found more space on his face to ink up, getting three gnarly-looking scars on his cheek. "Everybody's saying 'Oh man, Diego's got an ugly new face tat'," said the rapper. "That's what you all say every time I get a new face tat. Then two weeks later, 'Oh my god, I love Diego's new face tat.'" What do you think of the tattoo? Love or hate? Or don't give a f*ck?